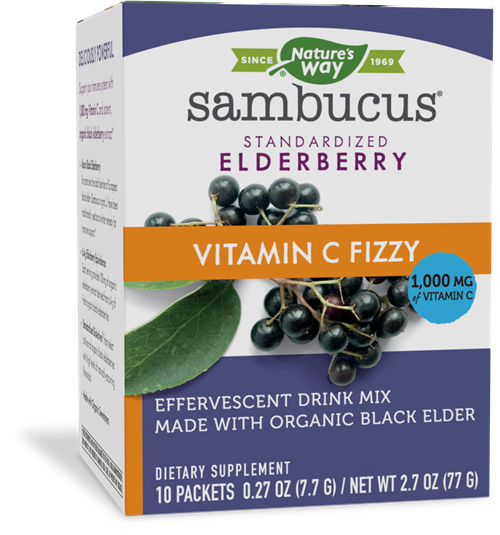 Sambucus Fizzy - Nature's Way®. Easy to Make it Your Way. Whether you want it cool & refreshing to drink, or soothing & warm to sip — Sambucus drink can be made just right for how you’re feeling. Add contents to 4-6 ounces of water, stir, and drink. Adults and children 9 years of age and older, take one packet daily. If pregnant, nursing, or taking any medications, consult a healthcare professional before use.